I’ve written many times and said in many conferences that Flamenco is the art form that better expresses feelings, and thus, since there is nothing more human than feelings, it was going to be easy having it declared as World Heritage Treasure (“Patrimonio Inmaterial de la Humanidad”) by UNESCO, giving credence to what many artists said, when this honor took effect in 2010: that it was humanity, the whole world, which was flamenco’s treasure, not the other way around. It goes both ways. Now that I’m going through a difficult and painful time, devastated by the most intimate emotions and feelings, as I was writing this article, a lecture I gave a long time ago in a medical conference came to my mind. It was titled: Pain and sorrow in flamenco (“El dolor a través del flamenco”), and in it I quoted cantes and lyrics which had that very straightforward, popular, no-nonsense way that flamenco has to describe things in a few verses, giving voice and music to the most intimate and transcendent feelings and emotions, and to all kinds of life experiences, from the deepest sorrow to the greatest joy and everything in between. In this case, I only focused on pain, in its full range, both emotional and physical, the type which naturally has more to do with medicine. From that lecture, due to my present circumstances, after overcoming the first days of incredulity and confusion, due to this unexpected loss, I’m borrowing ideas to focus solely on that pain called “the loss of a loved one”. In this way, as I wrote, I started remembering flamenco cantes and lyrics, and one of the first ones which came to my mind was the malagueña with which Pepe Nieto el de Orellana (born in Badajoz, like me), won the First Prize por malagueñas in the 1981 Festival Concurso del Cante de las Minas, when he was almost 80 years old, perhaps because we planned to have it performed by El Perrate on occasion of the 25th anniversary of Pepe’s death, together with granaínas adapted for Miguel de la Tena an a milonga, written by Pepe, adapted to be performed by El Madalena: – Solo por el mundo ando/ se murió y desde aquel día/ solo por el mundo ando/ Se me acabó la alegría/ y a Dios le pido llorando/ que arremate con mi vía. (I wander alone in the world/ She died, and from that day/ I wander alone in the world/ I feel joy no more/ and to God I ask, crying/ to take my life away). The fact is that this society we’ve created is not ready for death and all its implications, even as, long ago, Pastora Pavón made her thoughts very clear por peteneras: – To en este mundo es mentira, no hay más verdad que la muerte y no hay quién me contradiga (Everything in this world is a lie, Death is the only truth, and no one can deny it). 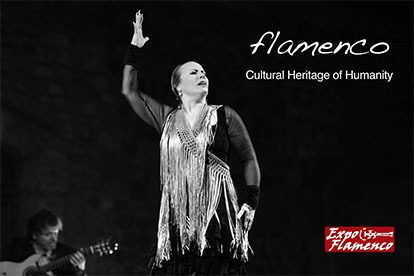 However, flamenco has many other lyrics, suited to the most appropriate cantes, which describe the sorrow felt due to the loss of a loved one: the death of a mother (a very popular topic), of a father, of children, partner, siblings, relatives or friends. Up to now, I had mostly paid attention to the lyrics which dealt with the death of a mother, because it’s so common in flamenco, and also because I had experienced such loss myself. As I wrote this, lyrics which I had read a long time ago came to my mind: Doblen la campanas/ doblen con dolor/ Que se ha muerto la mare de mi alma/ de mi corazón (The bell tolls/ Tolls with sorrow/ Because my mother has died/ [she was] my soul, my heart). There are also these lyrics I wrote when I was younger, to be sung by my dear friend who was in mourning, Curro Malena, which not only refers to the loss of the loved one, but to their suffering as well: Mi mare moría/ no podía hacer ná/ Suspirito que daba en la cama/ eran puñalás (My mother was dying/ There was nothing I could do/ Each of her whispers in bed/ felt like a stab-wound). 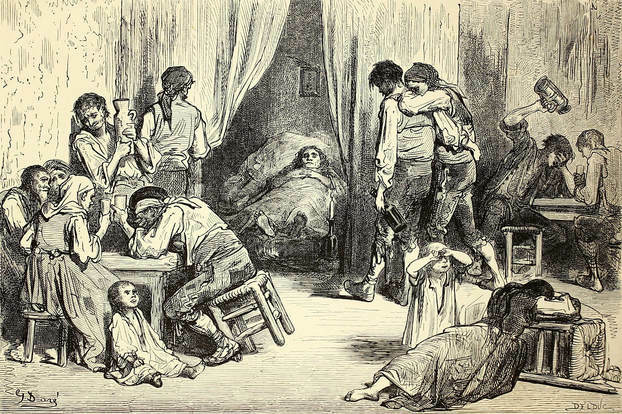 Having heard about much sorrow from others, I assumed that the hardest loss would be that of our children, due to the unnatural, unexpected reversal of young people dying before their older parents, as reflected by the brilliant Caracol singing por saetas, with Jesus telling his mother: Porque tu pena es la más grande, la más grande y la mayor (Because your sorrow is the biggest, the biggest and the greatest). Yet, a few days ago, attending a conference about “Mourning” which took place at the Badajoz Medical Association, I was surprised to hear all speakers state that the biggest sorrow was the one caused by the loss of a partner. 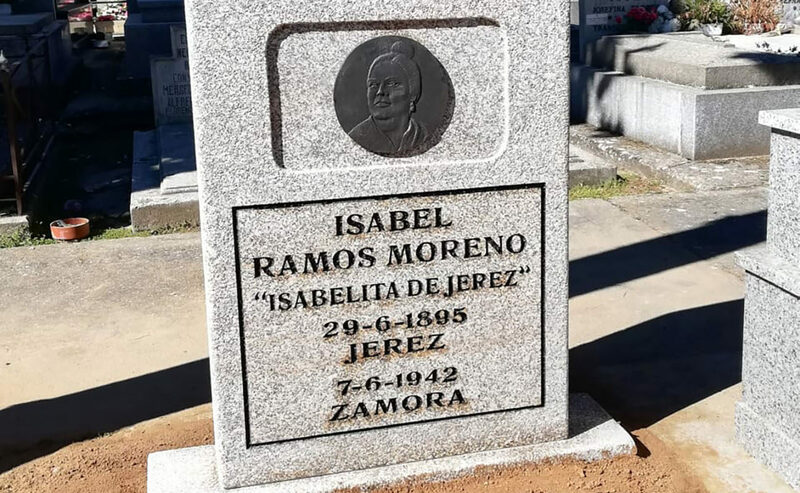 Without a doubt, this clearly contradicts what was sung by Pepe Pinto por fandango and por soleá, regarding the loss of a mother and a partner, with lyrics from a romance by Rafael de León: Toíto te lo consiento/ meno faltarle a mi mare/ que una mare no se encuentra/ y a ti te encontré en la calle. (I forgive you anything/ except disrespecting my mother/ because a mother is not just found somewhere/ and I found you on the street). Indeed, we meet our partners “on the street”, but we chose them, and we’re chosen by them, and with them we form our family, a project of life and union, and that’s why we call them “spouse”. My dear friend Paco Toronjo used to put it this way, very clearly, por fandangos: La historia del mundo es/ cuando mucho se ha querío:/ un hombre y una mujer (The history of the world is/ How much a man and a woman/ have loved each other). It’s not possible to say anything deeper in just three verses! Besides all that’s been said, if on top of that we’re lucky that this project lasts a long time, in happy harmony and mutual love, it’s only natural that such loss turns out to be excruciating, leaving us immersed in that stupor I mentioned earlier, making us feel incomplete, as Saint Paul stated when he referred to single men. 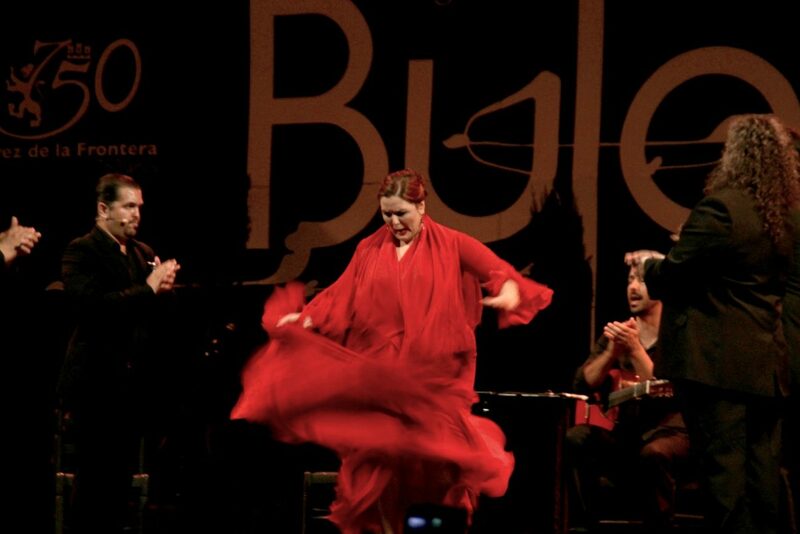 Flamenco came to my mind once again, with the dramatic grandiloquence of Chacón’s malagueña: – A dar voces me ponía… – (I spoke [to the wind]), which according to the master Fernando el de Triana, in his book “Arte y Artistas Flamencos”, was Chacón’s favourite lyric, and that’s why it was so popular with the public. That malagueña ended with a brutal reality: … Y escuché un eco del viento:/ “no la llames”, me decía/ “que no responden los muertos” (…And I Heard the wind’s echo:/ “Don’t call her”, it told me/ “Because the dead don’t answer”). Is that brutal reality which has the greatest impact in our sorrow, so hard that it must be chewed very slowly. 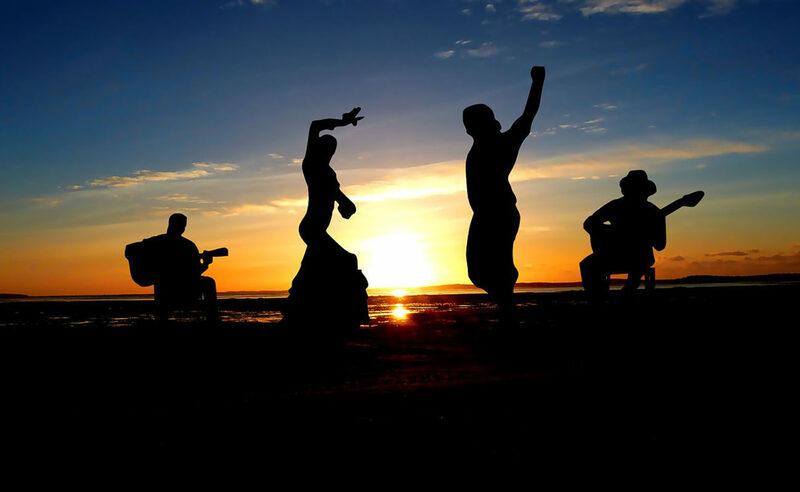 Naturally, those who care for us try to help, and flamenco has this reality check in the voice of Porrina: – Dejadme flores dejadme,/ que aquel que tiene una pena/ no se la consuela nadie (Leave me, flowers, leave me/ Those who suffer sorrow/ can’t be comforted by anyone). Then there are the inevitable reflections and advises, categorically answered by Camarón’s voice: A mí me daban consejos/ y ya pa que los quería/ si lo que me había pasao/ remedio ya no tenía. (I was given advise/ I had no use for it/ what had happened to me/ had no remedy). The fact is that we’re not prepared for death, even as it’s something we all will face. That’s why cante wisely states: Pa que tanto discutir,/ si unos antes y otros luego/ nos tenemos que morir. (What’s the point of arguing/ if some soon, others later/ will all die, eventually). This is a reality which we are unaware of (or which we refuse to be aware of), until we have to face the death of a loved one. That’s when we have to acknowledge the hard, sad reality. We first refuse to believe it, pretending it’s some temporary state. We rebel and then… we acknowledge it, and, with time, we learn to accept it. This is the key: being able to accept that we, human beings, die. Being able to accept that there is a moment when the strength of the spirit/soul abandons our bodies, and when this happens our human life ceases to exist, forever. Without a doubt, those of us who have religious beliefs are better able to overcome such trials than agnostic people, since we believe that our spirit/soul goes to another dimension where we’ll all meet again. I have to add, in a positive note, that this dimension must be awesome, because no one bothers to come back. The secret is, then, ACCEPTING, avoiding the “black sorrow”, such as the king of fandanguillo from Macarena, El Carbonerillo, described it to us, singing: – La pena grande que se llora,/ con las lágrimas se va./ La pena negra, es la pena/ que no se puede llorar/ y esa no se va, se queda (The great sorrow that’s cried out/ is gone with our tears/ The black sorrow is that/ which cannot be cried out/ this sorrow never leaves, but stays). There, in five verses, is described basically all the therapy necessary to overcome the sorrow created by the loss of a loved one. Facing it, acknowledging it, ACCEPTING it as something natural – “Death is the only truth”—Not repressing emotions, but crying all we can and having a positive attitude, avoiding to hide in loneliness, preventing the “great sorrow” to become a “black sorrow”, because the latter is depression and that one can’t be cried out and puts us down. With such a positive attitude, I’ve tried from the beginning to overcome my sorrow, looking ahead, with the pleasant memories of my wife in my heart, and it’s with that same attitude that I write this article, hoping it may be of some use to whoever is, has been, or will be facing this difficult process. I conclude singing in the same spirit and form as Manuel Machado: – Cantando la pena, la pena se olvida (Singing our sorrow, our sorrow is forgotten). Or at least alleviated, I think. Here goes my heart por fandango, with these lyrics I wrote many years ago, singing in the hope of living positively in what was left of my human existence: ¡Adelante!/ Hay que seguir adelante/ aunque la muerte “te jiera”/ Que esta vida es pasajera/ y se lleva en un instante:/ a aquél, al que tú más quieras. (Ahead!/ We must keep going ahead/ Even if death stings / Because this life is fleeting/ And in an instant it takes away / the one you love the most).